FTMDAILY.COM – The level of danger facing humanity right now is literally “off the charts.” I don’t say this to alarm you, but to alert you. 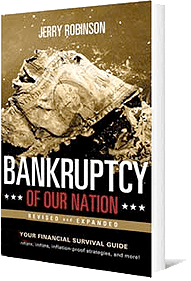 If you have had a chance to read through our book, Bankruptcy of our Nation, you are intimately aware of the frailty of our debt-based monetary system. America’s economy is a house of cards. Don’t believe the spin. Don’t believe the Federal Reserve. Don’t believe your IRA or 401k statement. You are living in an illusion, made possible by the world’s greatest monetary experiment in recorded history. In 1971, President Nixon permanently ended the final vestiges of the international gold standard. It is no coincidence, then, that the global economy appears to be going off the rails 43 years later. In 1980, America was the world’s largest creditor nation. But in a U.S.-dominated world, with few monetary constraints, America easily engorged itself. Some thiry years later, America’s status had fallen. No longer was it the world’s top creditor nation. Instead, through its excessive borrowing and consumption, it had become the greatest debtor nation in world history. America may appear “okay” on the outside. But it’s bankrupt. The only way it can afford to pay its bills is by borrowing money from other countries. Some Americans find some strange solace from a world gone mad in the knowledge that America’s military might is the largest in the world. While this is certainly true, it is equally true that the U.S. finances its military prowess with money borrowed from other countries. But what happens if America’s “bankers” are suddenly unable, or unwilling, to continue financing its vast global empire and military machine? If the monetary wizards at the Federal Reserve and the U.S. Treasury were truly interested in “saving” America’s economy and finally nudging it on towards a sustainable economic recovery, it would address the obvious failures created by our global fiat currency system. America’s economy will never truly be healthy until our failed monetary system is corrected. It lies at the root of all of America’s economic challenges. 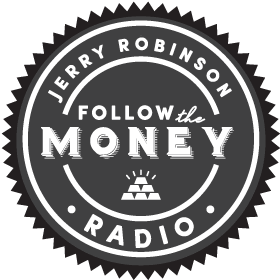 When the Federal Reserve suddenly announced its intention to begin tapering its trillion-dollar quantitative easing program, I personally didn’t believe it would actually go through with it. But to my disbelief, they did begin tapering. Month after month, the Fed methodically cut its initial monthly $85 billion cash infusions by increments of $10 billion. Now, we are nearing the end of QE3. And as the closing day nears, the global markets are getting rocked. Is it a coincidence that in the same month the Fed is planning on cutting its massive $1 trillion-per-year lending program to the U.S. Federal government, the International Monetary Fund (IMF) issues a bleak warning over the future of the global economy? Sept 17… In a prepared statement, the Fed confirms its decision to make the final bond purchase of its massive QE program right after its upcoming October 28-29 meeting. Oct 8… The IMF reports bleak future for the global economy in its October 2014 Global Financial Stability Report. Oct 15… After falling for several weeks, U.S. stocks experience their sharpest intraday decline in recent memory. We have to make sure inflation and inflation expectations remain near our target. And for that reason, a reasonable response of the Fed in this situation…we could go on pause on the taper at this juncture and wait until we see how the data shakes out into December… If the economy is still as robust as I am describing it, then I think we could just end the program in December. But if the market is right, and this is portending something more serious for the U.S. economy, than the committee would have an option of ramping up QE at that point. If we really get a sustained, disinflationary forecast… then I think moving back to additional asset purchases in a situation like that should be something we should seriously consider. In essence, it appears that the IMF’s well-timed global market downgrade has given the Fed the perfect excuse for keep the printing presses on. Let’s face it, the Fed is the world’s most powerful financial institution in a globe awash in corrupt financial institutions. The Fed is run by extremely well-connected and wealthy elites who live and breathe in the toxic and corrupt environment that permeates the upper chambers of America’s financial industry. Their motive is profit. It’s just business. So, in classic “kick the can down the road” fashion, the U.S. Congress has spent the majority of 2014 spending inconceivable sums of the people’s money propping up our “warfare-welfare” state while promising to get to that “debt ceiling” debate sometime in March 2015. If you are a long-time reader, then you are keenly aware of my political atheism. I view the 535 voting members in the U.S. Congress (435 in the House, 100 in the Senate) as little more than well-mannered, well-spoken, and well-paid professional fundraisers. In order to gain one of those 535 highly-coveted seats in Washington, your fundraising skills must be exceptional. A congressman or senator’s entire career is spent in a constant quest to raise more money (either for themselves or for others in their party). Over the years, I have developed very little patience for the modern theatrics of the political process. Politicians are often accused of saying one thing while doing another. And yet, the American people continue to vote these same politicians right back into office. It is truly the theater of the absurd. Nearly 7 in 10 Americans are angry at the direction the country is headed and 53% of Americans disapprove of President Barack Obama’s job performance… 30% of Americans are “very angry” and 38% are “somewhat angry” about the way things are going in the country, while 31% expressed “no anger” at all. Politicians have access to massive amounts of public polling data. They use it to craft their language before a crowd. But once they are in office, they are beholden to the wishes of those who write the checks. If you think that all of Washington’s political donors hand out money to these politicians without any strings attached without any expectations in return, it’s time to wake up. U.S. National Debt Reaches $17 Trillion: How Did We Get Here?